Sift flour, salt and bicarb of soda, place milk, sugar and butter into the centre of the flour and mix. Add orange zest, beat until smooth and thick. Cook on greased frying pan. I don’t bother with that step when using my sandwich toaster. 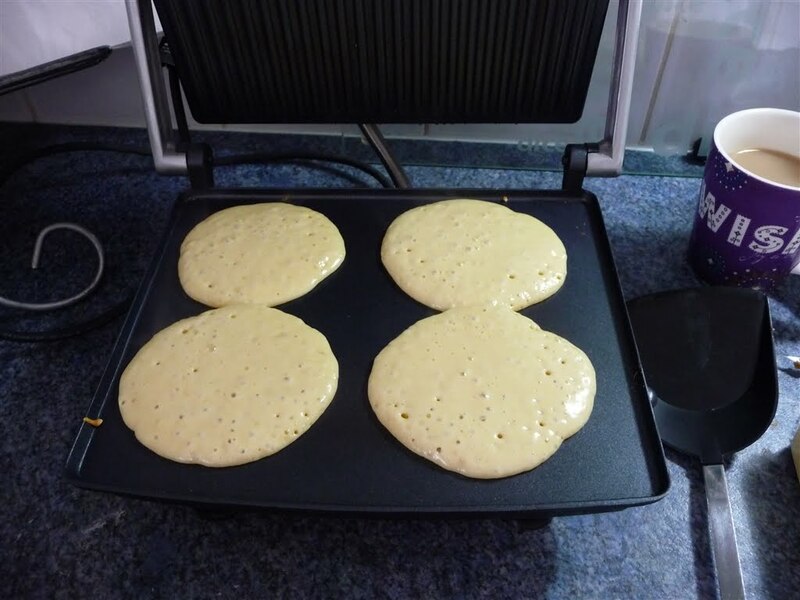 Does anyone else cook there pancakes this way? 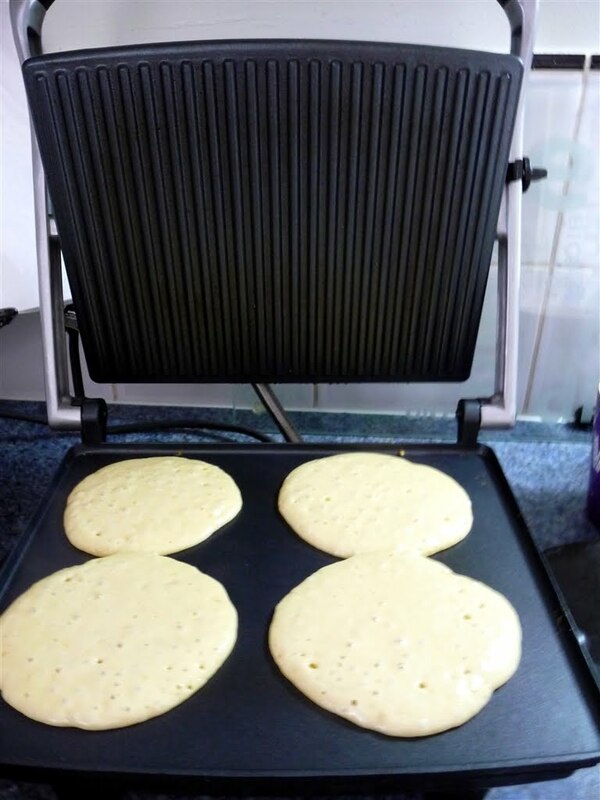 I don't have a sandwich toaster or any other type of electric griddle, so I use a griddle pan on my gas stovetop. I like the addition of orange zest. We have the trees, so I put orange, tangerine, lemon or lime zest in just about everything.Had to come by and check out your blog when I saw its name–I'm always ready for a cuppa!